LPG Service Trucks - Pacific Truck Tank, Inc.
Pacific Truck Tank’s LPG service trucks from Stellar Industries offer versatility and efficiency for transporting, loading and unloading gas cylinders in a simple, single person operation without the need of a trailer or additional setting equipment. 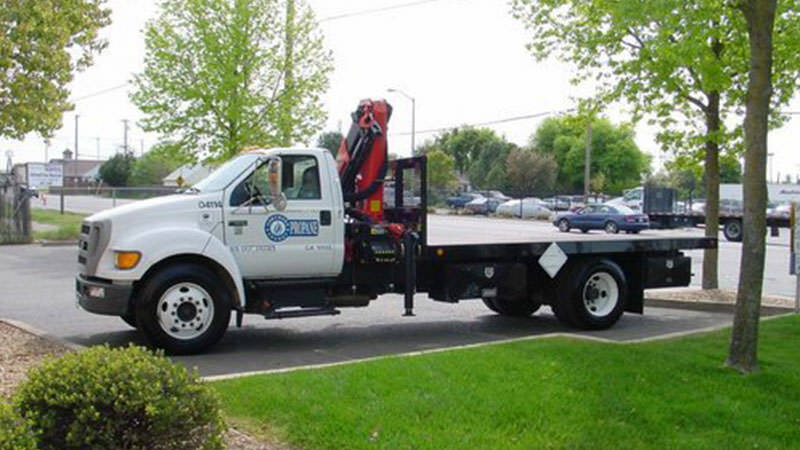 The truck service body is designed to haul a single 1,000-gallon or two 500-gallon propane tanks, plus everything necessary to install and service the tanks. The service truck is also designed to securely carry small LP tanks.